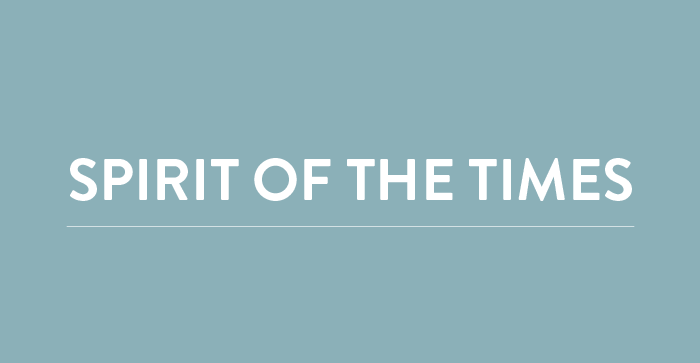 These objects and oral histories tell stories about coming home and life after service. Hardship and bereavement does not cease with the end of conflict; for many it only marks the beginning of a difficult period of adjustment and adversity. 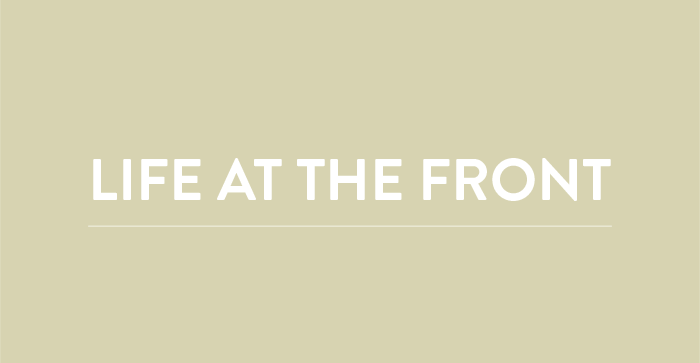 Support and recognition – whether sought through official or unofficial channels – can shape the lives of the people who return from war, as well as those of their families and loved ones. The participation of women in the First World War is known largely through the work of the Australian Army Nursing Service. However, more than 1,000 civilian nurses were also involved in active service through private organisations such as the Red Cross. These nurses worked in Europe, India and the Middle East in hospitals, on ships, trains or even closer to the front in casualty stations. They were easily identified by their iconic red capes, similar to this item. Alex Vanstan is a young veteran who served in Afghanistan and became a Captain. In his oral history he reflects upon the challenges of returning to civilian life. Alexander John Smith McCann was born in 1949 in Edinburgh, Scotland. He arrived in Australia with his family in 1966 and joined the Australian Army in 1968. Sandy did two tours of Vietnam and became an infantry Sergeant. 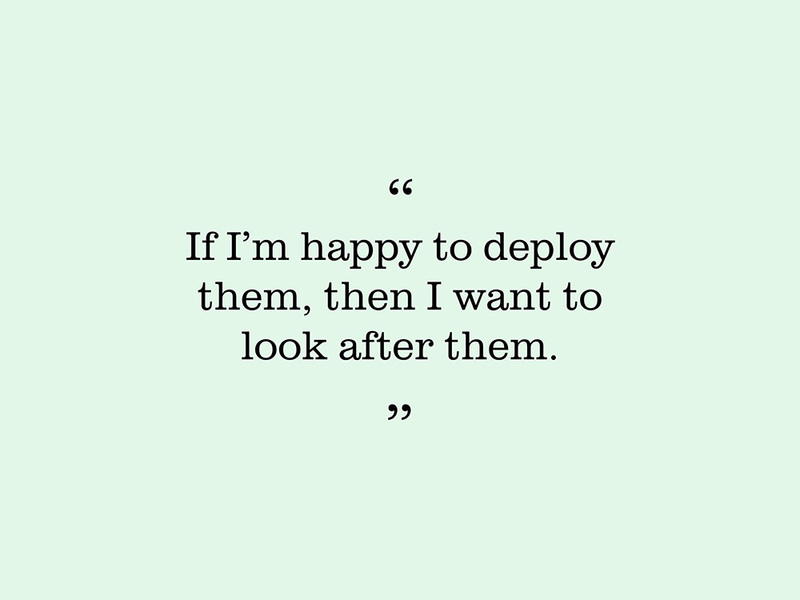 In this excerpt, Sandy reflects on the attitudes toward returned soldiers. This film, made by Herschells Film Laboratories in East Melbourne, documents the early organisational history and activities of Legacy. Don Hughes entered the Army Apprentices School in 1974. In 1993, Don commanded the Australian Service Contingent deployed to the UN Peacekeeping Operation in Mozambique. Now a retired Lieutenant Colonel, Don was awarded the UN Medal for Operations in Mozambique and the UN Special Service Medal for Humanitarian Demining Operations. Legacy groups such as the Torch Bearers, Women’s Auxiliary, Widows and Laurel Clubs bring together people with a shared experience and provide a platform for friendship and support. 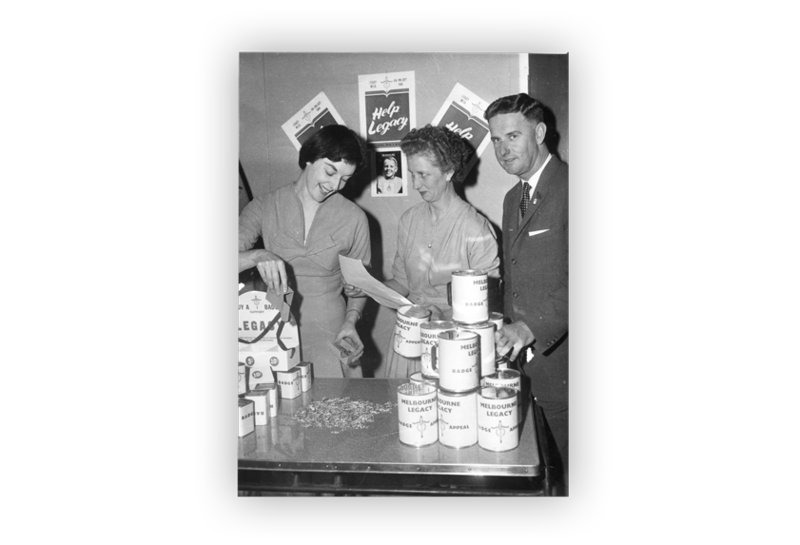 From 1928 until the 1980s, Melbourne Legacy ran an exercise program for its Widows. Some of the class members pictured here were in their 90s, many just learning to swim. The Sailors and Soldiers Fathers' Association, established during the First World War, was active in fundraising, establishing memorials and advocacy for issues such as the repatriation and employment of returned servicemen. 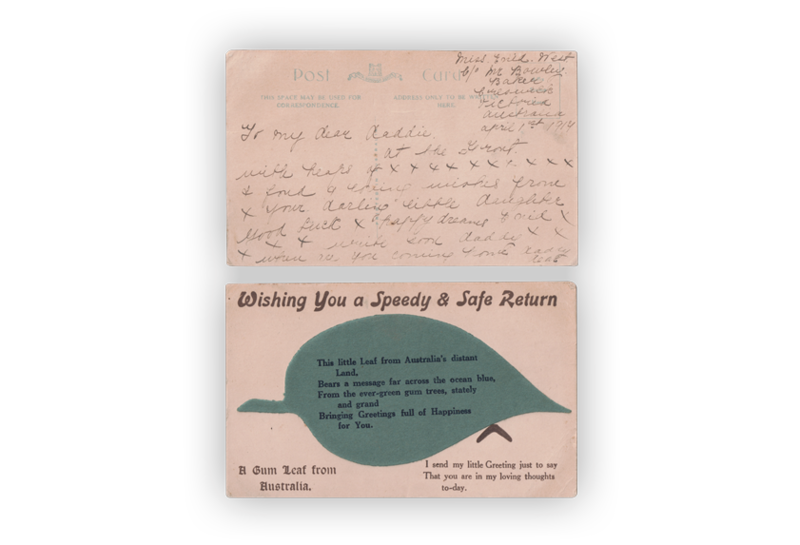 The group worked closely with the Returned Sailors and Soldiers Imperial League of Australia, now known as the RSL. This photograph shows Legatees working at a Legacy Week badge appeal during the 1960s. Fundraising has always been a large part of Legacy's activities and is an important way for the organisation to both raise awareness and increase revenue. The Legacy ideals are voluntary service, caring, comradeship and remembrance. Comradeship has always been a pillar of Legacy's activities. A regular calendar of social events fosters wellbeing and provides a strong support network for Legatee's and their families. Since the 1920s, Melbourne Legacy's youth programs have addressed the social and development needs of the children of Victorian service men and women. Physical activity was a major focus for both boys and girls, and every year until the 1980s they put on a public demonstration of physical prowess. Three Legacy Widows with a Junior Legatee (names unknown) taken on the footpath outside Legacy House, Swanston Street, Melbourne. Gary Hadley remembers the military grooming standards that made blending in with civilians difficult and, coupled with the widespread opposition to the Vietnam War, caused some soldier's to feel at risk. 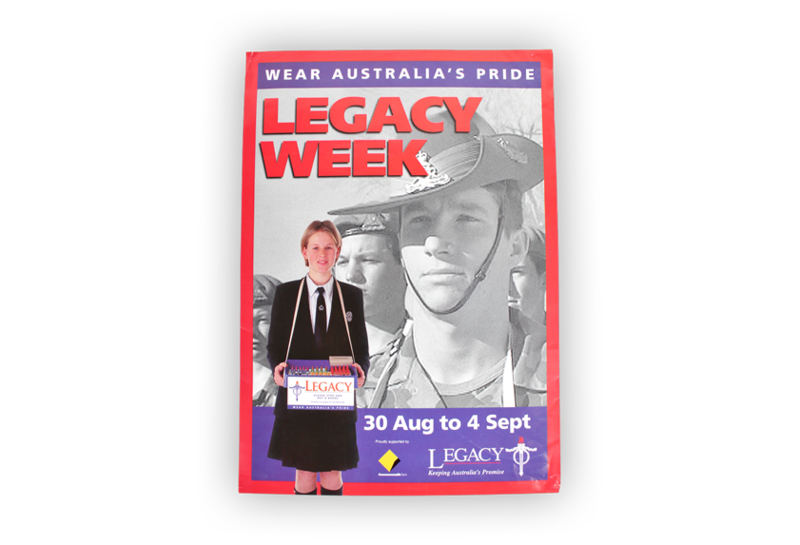 Legacy Week is an iconic fundraising campaign that began in 1942. The annual national appeal raises awareness and funds for the families of our incapacitated and deceased Veterans. This poster was used to promote Legacy Week activities during the 1990s. Established over a century ago, the Wangaratta RSL is one of the oldest and largest sub-branches in Victoria. This photograph shows local veterans in front of the club at a social event during the 1950s. Women have played a central role in sustaining the activities of ex-service organisations. 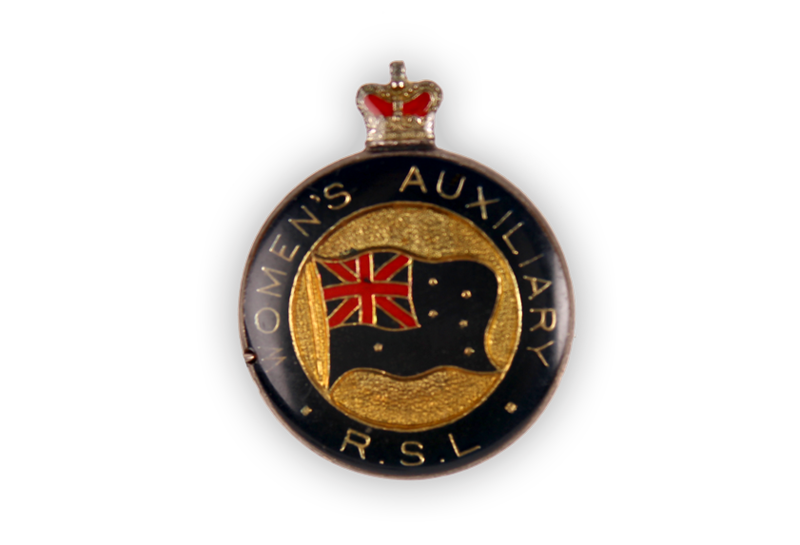 Women's auxiliaries are dedicated to fundraising, supporting the activities of their local RSL, and caring for veterans in their wider community. Today, there are more than 1200 members of auxiliaries in Victoria. This booklet contains a collection of stories, anecdotes and jokes told by soldiers returning to Australia from Belgium aboard the Troopship SS Port Napier. Legacy has a long history of nurturing the development of children of deceased veterans. This photograph was taken at a party for Legacy children hosted at Government House. The Governor of Victoria is the patron of Legacy and these events at show the Governor's ongoing support for the organisation.